The launch of its Christmas Candy Cake right at the heart of the V-Mall lobby last Thursday night was very grandiose with pure imagination of a Christmas candy cake full of every candy you can ever think of gum drops, butterballs, eclairs, hard candy, chocolate bars, fudge, in an assortment of sizes, shapes, and colors—filling the four-layer 30-feet high cake. The first and only Christmas Candy Cake made by Ortigas & Company, which opens to the public last November 8, 2018 to January 6, 2019. All set to delight the young and the young-at-heart of this biggest Christmas Candy Cake. This Christmas installation will surely enhance the experience of all those shopping at the only mall with the widest selection of retail offerings with various tiangge stalls with their festive assortment of goods for the value-conscious, as well as retail stores with a selection of gifts for everyone. Councilor Mary Joy Ibuna-Leoy District 2; Mr. Jaime Ysmael, President & CEO of Ortigas Malls; San Juan Mayor Guia Gomez; Arch. Renee C. Bacani, VP of Ortigas Malls; Ms. Maite Ortigas (Ortigas Family) and Atty. Mike Abundo. During this event, it was graced by San Juan Mayor Guia Gomez along with other local government officials. Also present was the president and chief executive officer of Ortigas & Co., Mr. Jimmy Ysmael along with the other members of the Ortigas family. The guests enjoyed the performance of Will Wonka with visions of a chocolate factory coming alive right before their eyes. As an added Christmas bonus, golden tickets will also be scattered around the mall for mall-goers to find. Lucky winners will be able to claim special prizes if they find these tickets from November 6 until Christmas Day. 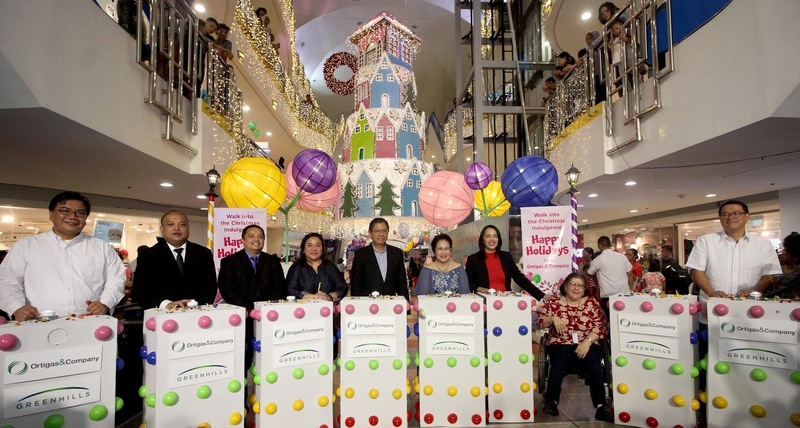 True to the spirit of generosity that gives meaning to the season, Greenhills have special guests under the care of the Department of Social Welfare and Development and will take part in the joy of the season. 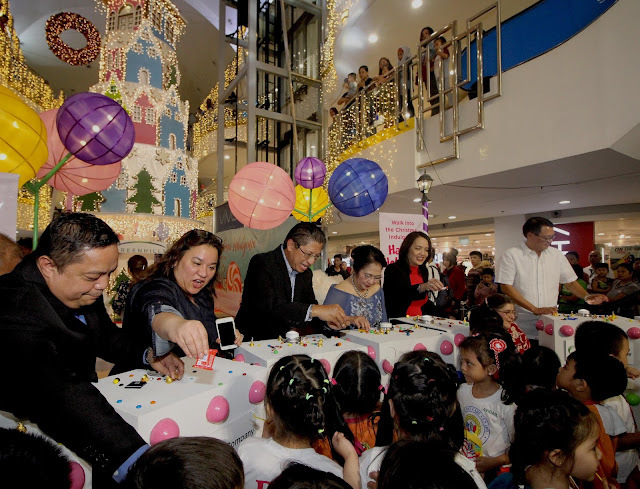 Councilor Allen Christopher Silvano - District; Councilor Mary Joy Ibuna-Leoy - District 2; Mr. Jaime Ysmael, President & CEO of Ortigas Malls; San Juan Mayor Guia Gomez; Arch. Renee C. Bacani, VP of Ortigas Malls; Ms. Maite Ortigas (Ortigas Family) and Atty. Mike Abundo. 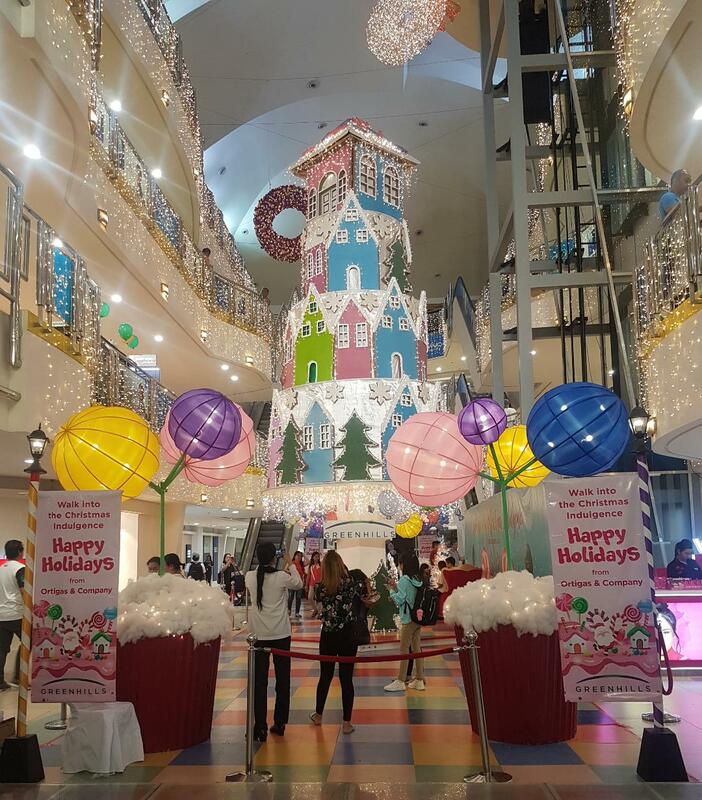 Don’t miss to see and visit the 30-feet high Christmas Candy Cake at Greenhills. If ever you want to take pictures or taking selfies make sure to use the hashtags #2018OrtigasMallsChristmas and #GreenhillsCandyCake. 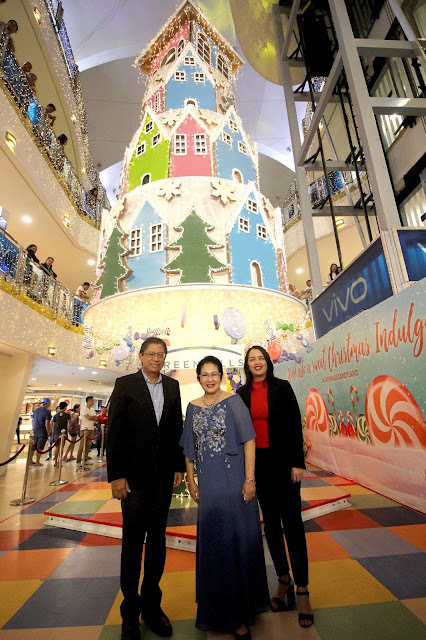 Indeed, Christmas is more delightful and so much sweeter in Greenhills. To more updates, please visit and follow Greenhills on Facebook and Instagram. For more information, visit www.ortigas.com.ph or call 633-1580.